The nexus: Where organizational excellence and emotional intelligence meet. 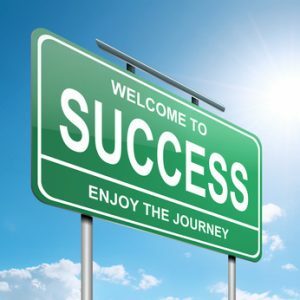 Being a Psychologist… or as I was recently humorously coined a “Corporate Psychologist,” I have been asked a number of times what I focus on the most when working with executives and/or organizations. While I have used intelligence tests, personality inventories, general organizational scales and ability scales, the reality is that my intuition takes these smaller snapshots into account as I look towards the underlying emotional intelligence. 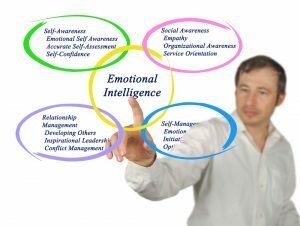 So what is emotional intelligence? To begin with, let me clarify by saying that I have heard a variety of folks interpret the definition of emotional intelligence to fit whatever they believe an organization (or individual) would look like if he/she/it were emotionally intelligent… In other words the meaning has been diluted by its popularity as a catchy “coach” phrase. However, at it’s core, emotional intelligence is: a) the ability to be self-aware of your feelings/emotions, b) the ability to manage/control/use those feelings and emotions, c) the ability to read other’s feelings/emotions, and d) the ability to manage/use/lead by using emotionally intelligent strategies in assisting others with their feelings/emotions when it comes to thoughts and behavior – especially leadership. Interestingly, these are skill sets that we in the psychological arena have explored in the footsteps of thinkers like Carl Rogers and Irving Yalom. And so it is that the foundations of business and psychology find a nexus. However, not surprisingly the nexus, if we consider the heart of any business being the configuration of people involved. Groups, teams, sections, divisions, departments, executives – call each part what you will – are not only dependent on their group emotional intelligence (and the emotional intelligence of each individual in their respective groups), but play a significant roll in the organization being something greater than simply the sum of its parts. Which is why the art of targeting and tailoring emotional intelligence within an organization through a psychological lens is our mission here at Prosperity. 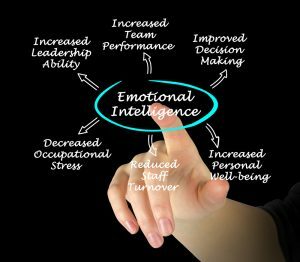 This can include work with executives who are committed to increasing their emotional intelligence or work with an executive team who knows that their overall contribution to the organization will be greater with increased team emotional intelligence. The same applies to staff at any level, and the group or department irrespective of function (ie., HR, IT, Operations, Finance). Let’s not forget the Board of Directors! 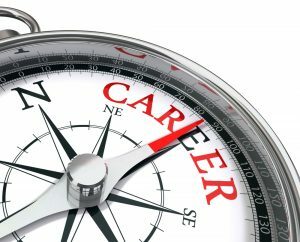 Yes, I know boards are many times composed of volunteer or appointed members, but they, too, benefit greatly from emotional intelligence that will lead to valuable decision making when hiring the next chief executive officer or while developing their strategic plan for the future of the organization. Is your interest piqued yet? You don’t have to take my word for it. Forbes magazine online quoted Terry Bradberry of Talentsmart as saying their studies discovered, “alongside 33 other important workplace skills, emotional intelligence is the strongest predictor of performance, explaining 58% of success in all types of jobs.” Let’s put emotional intelligence to work for you and your organization!